Before we get to the chocolate, I wanted to tell you that I am excited and honored to be featured in The Sampler at 5 Minutes For Mom today! Will you please click over there and leave a comment on my article, even if it's just "hi"? That way I won't feel too lonely there. 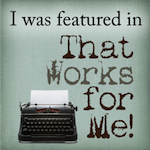 Many thanks to my supportive bloggy friends! 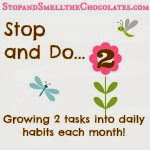 Instead of a yummy chocolate recipe today, I wanted to share a couple of chocolate finds with you. 'Cause sometimes you just want to buy the chocolate and eat it right now instead of having to make something from a recipe - right?! The second item is from World Market. It is a candy bar: World Market All Natural Sea Salt Dark Chocolate. Different, but I like it! The sea salt is mixed in with the dark chocolate. You can definitely taste it in there, but the salty and sweet do work together. Try it and see what you think. At less than $2 a bar, I think it's worth trying out. Now I've given you something to go get and make your Friday so much more exciting! 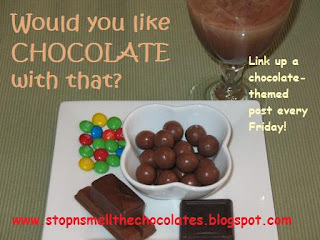 But before you head to the store, don't forget to link up your chocolate-themed post to Mr. Linky below. Check out yesterday's post for more information. And take a look back at last Friday. Please share the chocolate! 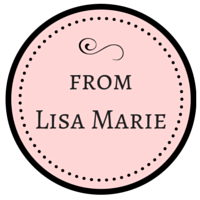 Oh boy, this is my first time stopping by your site, Lisa, and I can tell already I'm going to love it! Now it's off to explore all those chocolate links.